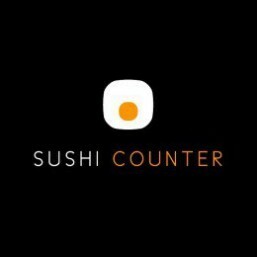 Sushi Counter is currently closed for delivery and it will open at . Chirashi : We Offer Brown/black/sushi Rice Or Quinoa For A Healthier Option. Summer Rolls : We Offer Brown/black/sushi Rice Or Quinoa For A Healthier Option. Traditional Rolls : We Offer Brown/black/sushi Rice Or Quinoa For A Healthier Option. Salmon, white sesame seeds & nori on a bed of Japanese rice. Sushi Roll (6 Pieces) Or Summer Roll (6 Pieces) + 2 Pieces Of Sushi + 2 Pieces Of Sashimi + Miso Soup + Dessert Or Fruit Salad *All lunch menus available only until 5pm. No discount applicable. Salmon, quinoa, white sesame seed & nori on a bed of quinoa & Japanese rice. Fresh salmon, salmon tartare, smoked salmon, cream cheese, black sesame seeds, creamy spicy sauce & salad with dressing on a bed of Japanese rice. Edamame, crab stick, quinoa, tempura flakes, yuzu mayo, black sesame seeds, nori & creamy spicy sauce on a bed of quinoa & Japanese rice. Chicken breast, lemon, yogurt, curry,mix spices,onions coconut rice, coriander and black sesame seeds. Chicken breast, panko, coriander, potato, carrot, curry, spices, black & white sesame seeds and sushi rice. Brown rice, avocado, asparagus, edamame, zucchini, tofu, black sesame seeds, soy sauce, ginger, spring onion and red onion. Chicken, brown rice, carrots, tonkatsu sauce, edamame, capsicum, asparagus, black sesame seeds, spring onion and red onion. Beef brisket, brown rice, carrots, edamame, hijiki, black sesame seeds, spring onion and red onion. Tuna Chirashi + Miso Soup + Dessert/Fruit Salad. *All lunch menus available only until 5pm. No discount applicable. Salmon Chirashi + Miso Soup + Dessert/Fruit Salad *All lunch menus available only until 5pm. No discount applicable. Your Choice Of Summer Roll (6 Pieces) And Sushi Roll (6 Pieces) + 3 Pieces Of Sushi + 3 Pieces Of Sashimi + Miso Soup + Dessert Or Fruit Salad *All lunch menus available only until 5pm. No discount applicable. Salmon, quinoa, iceberg lettuce, cucumber, yuzu juice, black & white sesame seeds and parsley. Tuna, quinoa, iceberg lettuce, cucumber, yuzu juice, black & white sesame seeds and parsley. Shrimp, avocado, asparagus, iceberg lettuce, cucumber, chives and mango tosazu dressing. Iceberg lettuce, crab stick, edamame, spring onion, black & white sesame seeds, cucumber and wasabi mayo dressing. Iceberg lettuce, salmon, baby asparagus, cucumber, tobiko, tamago, black & white sesame seeds, wakame seaweed salad and tosazu dressing. Fresh salmon, lettuce, Hijiki salad, tempura crisps, guacamole, creamy spicy sauce, mix sesame seeds and Cheetos crackers. Fresh tuna, lettuce, Hijiki salad, tempura crisps, guacamole, Anticucho sauce, mix sesame seeds and Cheetos crackers. Slow cooked pulled beef brisket, lettuce, Hijiki salad, tempura crisps, guacamole, Anticucho sauce, mix sesame seeds and Cheetos crackers. Slow cooked chicken breast, lettuce, Hijiki salad, tempura crisps, guacamole, Anticucho sauce, mix sesame seeds and Cheetos crackers. Fresh salmon, tobiko, avocado, cucumber, tempura crisps, creamy spicy sauce, mix sesame seeds and lettuce. Fresh tuna, tobiko, avocado, cucumber, tempura crisps, creamy spicy sauce, mix sesame seeds and lettuce. Slow cooked chicken breast, avocado, cucumber, tempura crisps, mayo, Tonkatsu sauce, edamame, blue chips and lettuce. Cucumber, avocado, seaweed salad, cherry tomato, Takuan and ceviche sauce. Doritos, fresh salmon, Hijiki salad, tomato salsa, guacamole, mix sesame seeds, creamy cheddar cheese sauce, sour cream and coriander. Doritos, fresh tuna, Hijiki salad, tomato salsa, guacamole, mix sesame seeds, creamy cheddar cheese sauce, Anticucho sauce sour cream and coriander. Doritos, slow cooked chicken breast, Hijiki salad, tomato salsa, guacamole, mix sesame seeds, creamy cheddar cheese sauce, Anticucho sauce sour cream and coriander. Doritos, slow cooked pulled beef brisket, Hijiki salad, tomato salsa, guacamole, mix sesame seeds, creamy cheddar cheese sauce, Anticucho sauce sour cream and coriander. Fresh salmon, cucumber, avocado, tomato, creamy spicy, yuzu and chives. Fresh tuna, green apple and spicy miso. Slow cooked chicken, Hijiki salad and Anticucho sauce. Edamame, red capsicum, yellow capsicum, confit artichoke, cucumber, cherry tomato, onion, lime and sushi counter ceviche sauce.